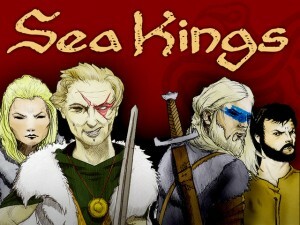 Worthington Publishing launched to sea with their Sea Kings Kickstarter campaign. Who wouldn't want to be a viking? We tell stories through our games. Vikings lived for the stories that would be told in the generations that followed. Now, you can add your own stories to the Viking sagas. Dr. Lew Pulsipher, designer of the award winning and best selling game “Britannia,” has designed an easy, fun, and fast playing game that tells the Viking story through immersive game play. Captain your longboat and travel the uncharted, mysterious seas to stake your claim...on Land. Wealth. And Fame.